In August 2017, Kevin Myers briefy became the most infamous journalist in the world afer being sacked by The Sunday Times for making allegedly ‘anti-Semitic’ remarks in his column. Soon aferwards, he was denounced by the Taoiseach and Tanaiste who applauded The Sunday Times’ actions – the first time in history that the Irish government has supported a foreign organisation against an Irish citizen without even a hint of due process. Far from causing any indignation, both his dismissal and the government’s approval of it were welcomed jubilantly across the Irish media. So far, so good. But the Irish Jewish Representative Council stood by him, the Irish Jewish Historical Society invited him to address it, which he did before a record crowd, and the Israeli Ambassador took him to lunch and invited him to his home. What was going on was that Political Correctness, the dominant ideology across the media and campuses of Europe and North America, was simply flexing its muscles and showing who was boss. For the real victim wasn’t Kevin Myers. It was Free Speech. That was the reason why he was lynched. For over 30 years, he has been an out spoken opponent of the tenets and applications of Political Correctness, the fundamental motto of which is: Conform or Else. His enemies merely chose to exploit what he admits was a poor column to destroy him completely. With PC Conformism triumphant in Irish politics and the media, real free speech within those circles is now dead; but he is not. After over a year of public silence, he is once again speaking out against the forces which are intent on destroying western civilisation. But the clock is ticking . . .
As Irish society swiftly conforms with the ruthless norms of world wide secularity, this country has imported the full range of political viruses that have made reasonable debate everywhere almost impossible. Any useful discussion on vital existential issues such as immigration, the family, the welfare state and the media has been virtually impossible by hair-trigger angers throughout the social media, which rapidly infect society at large. The traditional values of civility, attentiveness and constructive dissent have fallen prey to hysteria, misrepresentation and ignorance. The politics of identity has caused seemingly endless fragmentations of social groups, as not merely sexual desire has become political, but so too the very notion of what gender actually is. The issue is no longer one of homosexual rights, but of the rights of all sorts of newly emerging groups of whom almost no-one was aware when this century began. These are partially represented in the endlessly increasing acronyms LBGTQ etc, but with fresh ‘identities’ based on diet also mutating with those based on libido, genitalia and aspiration. Simultaneously, quangos have mutated to keep pace with these fragmentations, and have embraced causes unrelated to their origins. Thus Amnesty, the champion of political prisoners, now campaigns for gay adoption rights. Uniting all the parts to a jigsaw puzzle – whose bits subdivide almost by the hour – is the bogus and valueless creed of Political Correctness, which outlaws judgement, places a taboo on common sense and crushes dissent. This is the new dictatorship, and because it is outwardly ‘consensual’ and endlessly mutating like a virus, it has proved almost impossible either to define or combat. Each talk begins at 7.30 pm and will be followed by Questions & Answers. 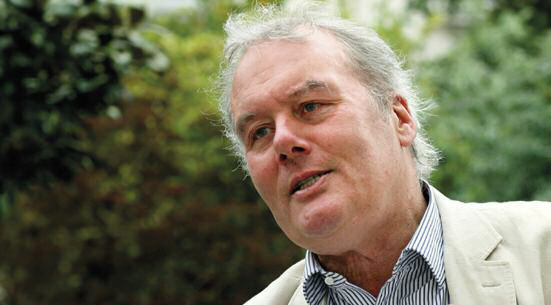 Kevin Myers was born into a family of Irish emigrants in Leicester, where his father was a GP. After studying history at University College Dublin, he became a journalist. He reported on the Northern Troubles from 1971 to 1978 before returning to Dublin, where he joined the staff of The Irish Times. From 1981 to 1996, he wrote ‘An Irishman’s Diary’ for the newspaper, changing its nature from being a chatty, social column to one that was more political and controversial. In particular, he championed the then-forgotten cause of the Irish soldiers of the two world wars, and so successfully that they are now part of the official Irish narrative. During this time, he wrote regularly for The Spectator and also became a columnist for The Sunday Telegraph, as well as presenting the television college quiz, Challenging Times. He joined The Irish Independent in 2006, and from 2013 to 2017 he was a columnist with The Sunday Times. He lives in Kildare with his wife Rachel, who is a musician, horsewoman and professional paramedic.